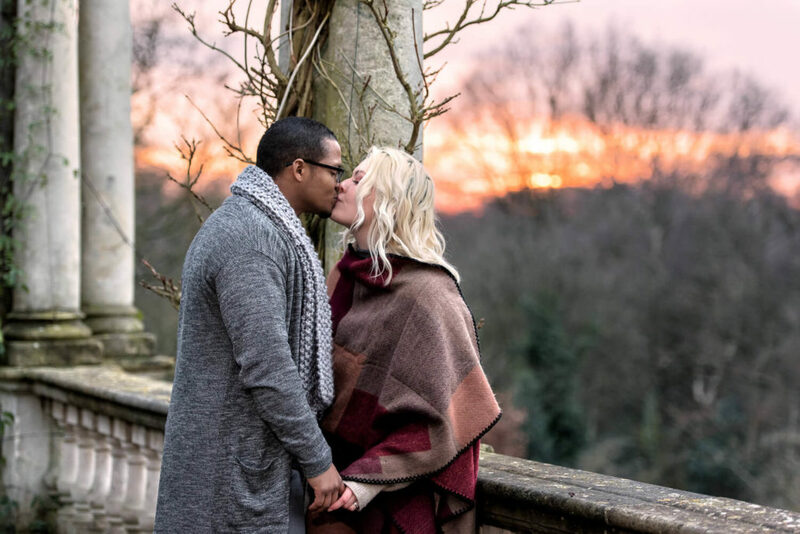 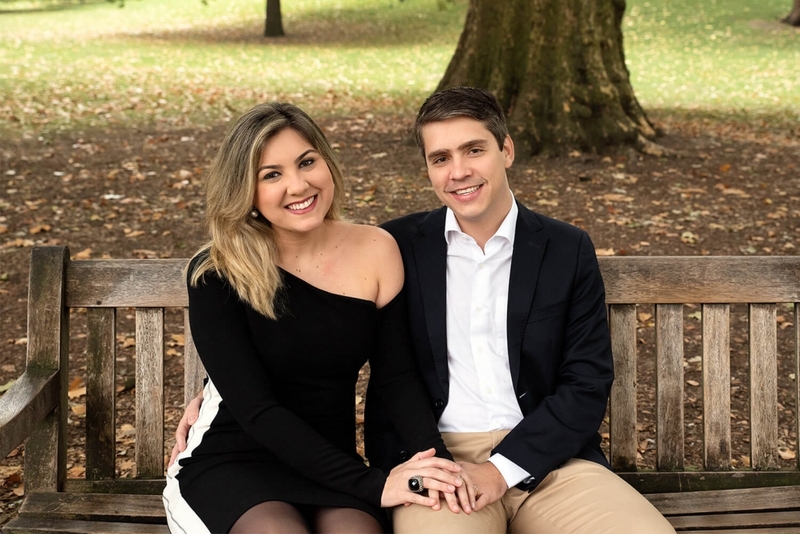 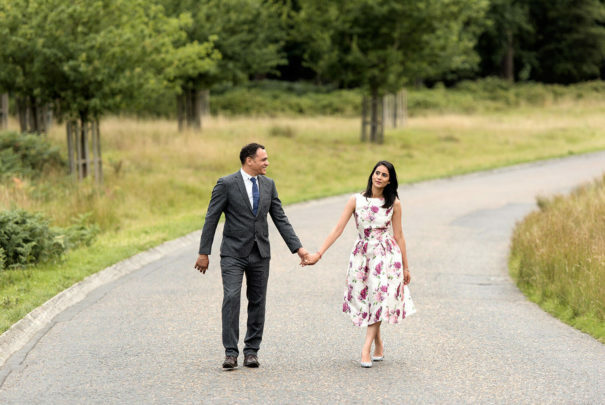 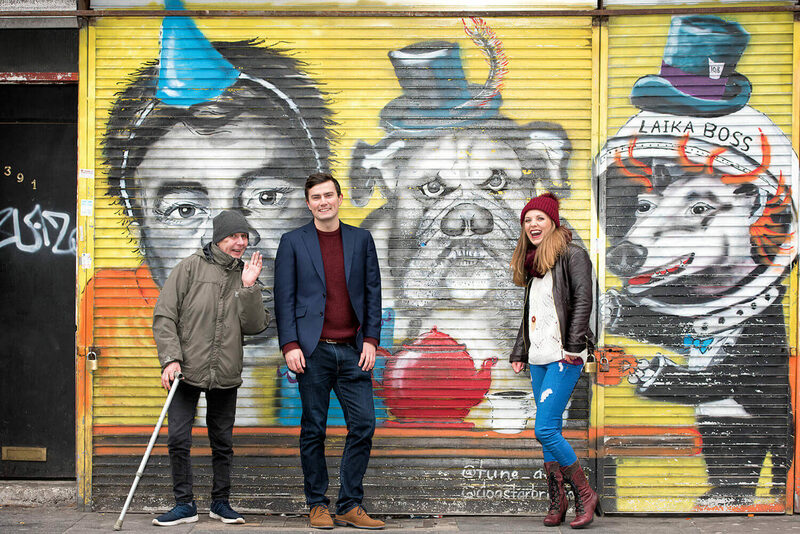 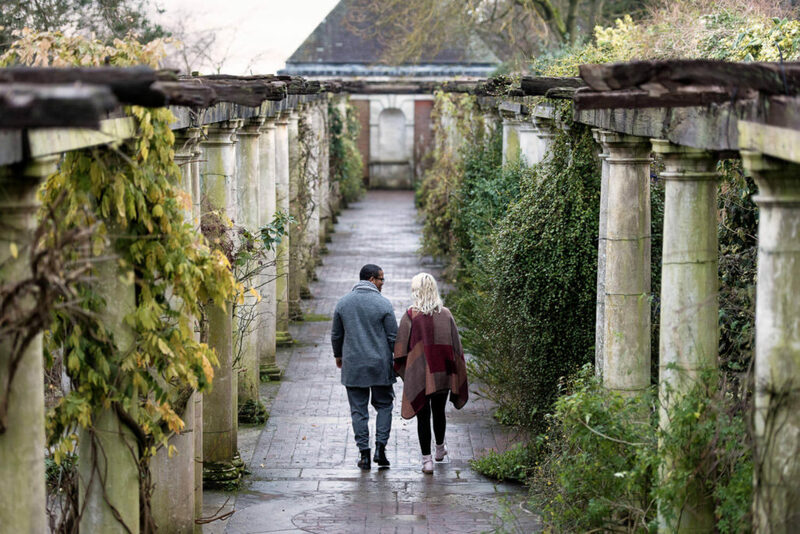 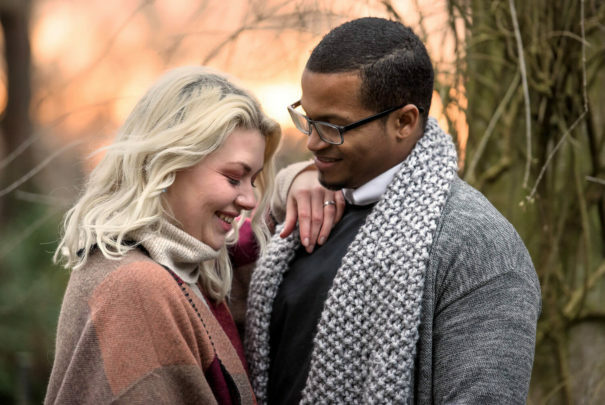 An engagement (or pre-wedding) session is a good way to get familiar with wedding photography and have wonderful photos before (or even after!) your wedding day. 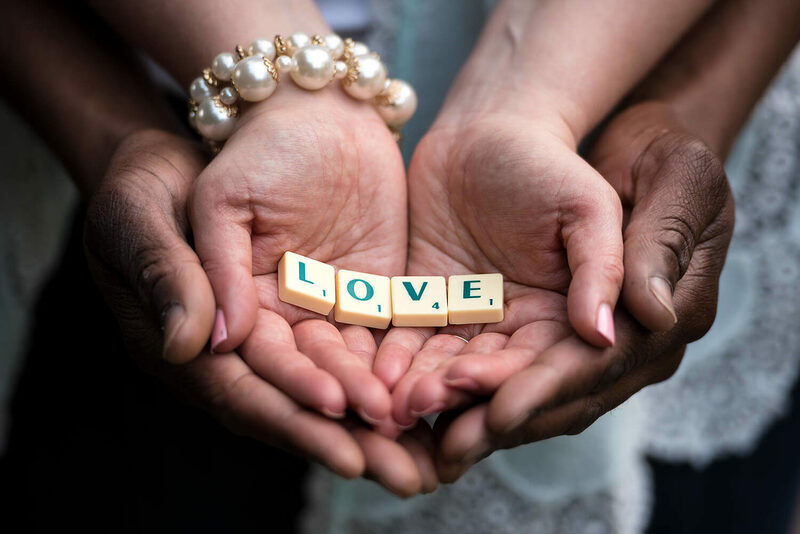 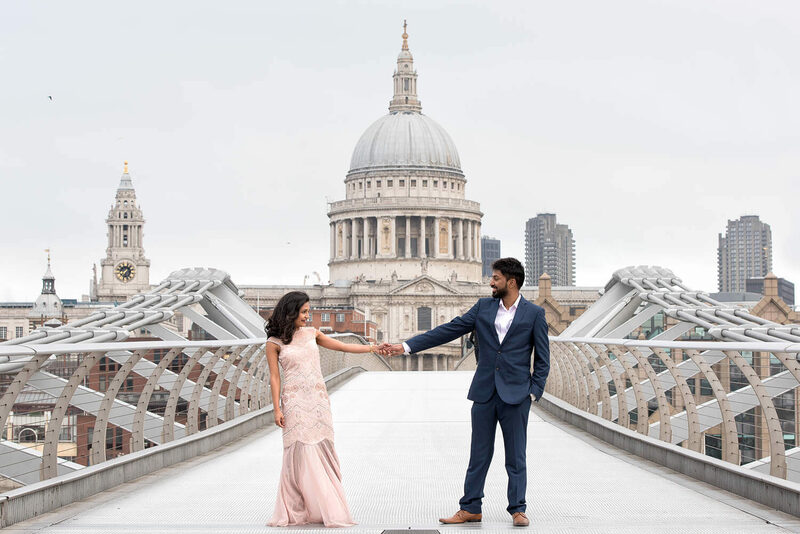 Pre-wedding sessions are requested by couples who want to show their engagement pictures on their wedding day, on wedding invitations or just as a beautiful record of their engagement period. 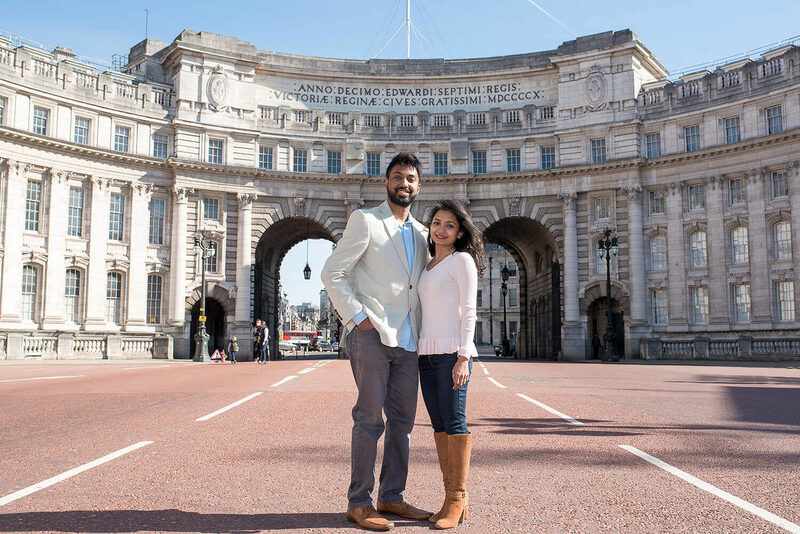 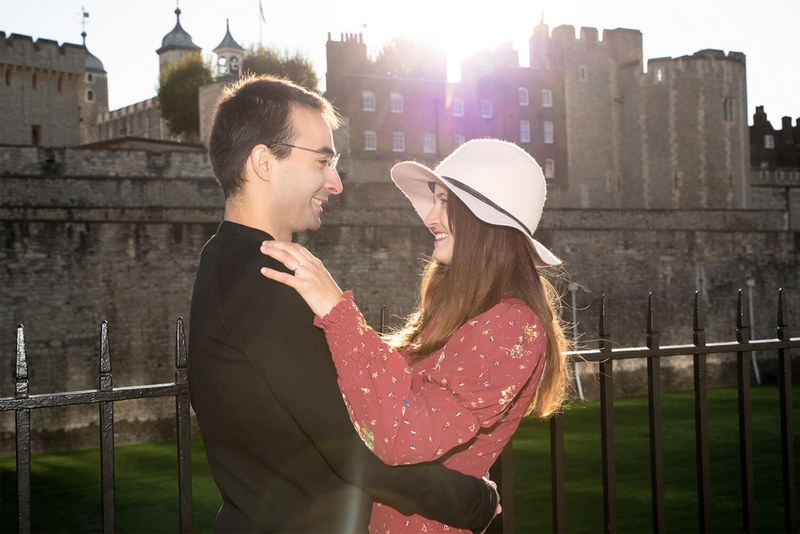 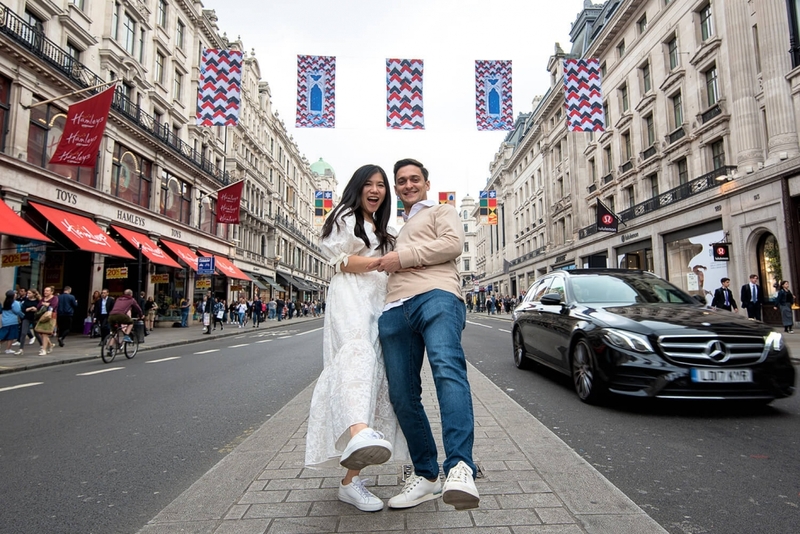 London engagement photo shoots also are very popular with couples who are visiting London and want beautiful memories of their visit. 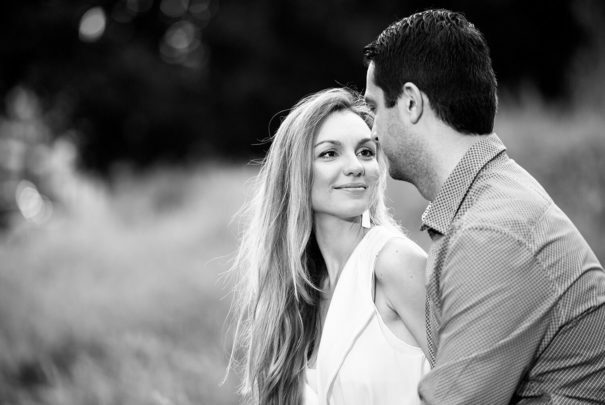 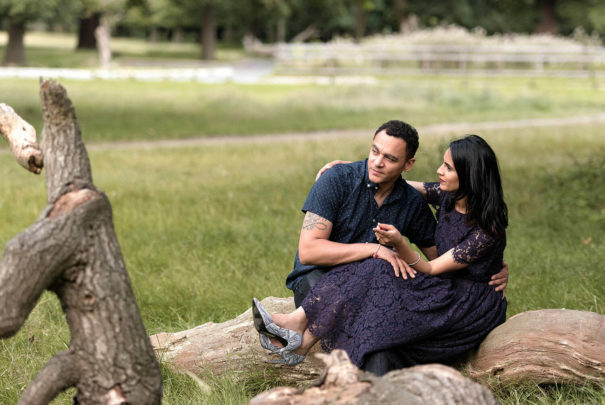 My approach is very relaxed and I like capturing natural moments during engagement sessions. No worries if you are camera-shy – I use several techniques that will make you feel comfortable and have fun during our pre-wedding session. 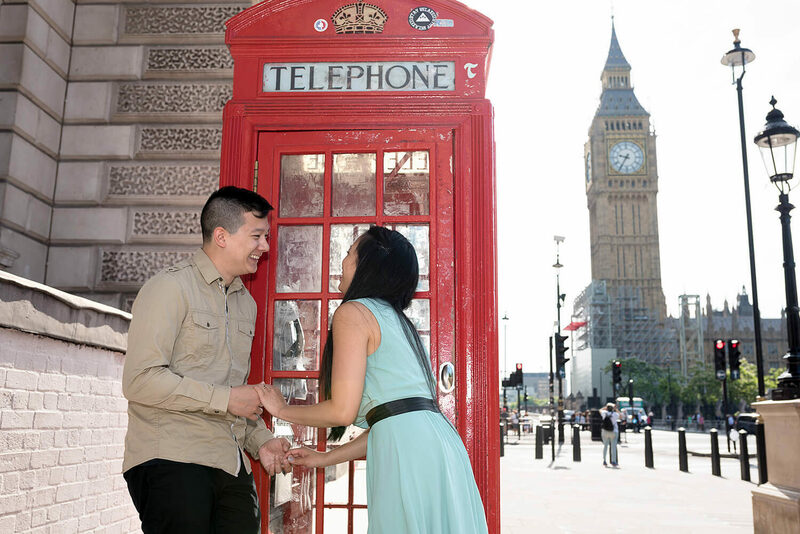 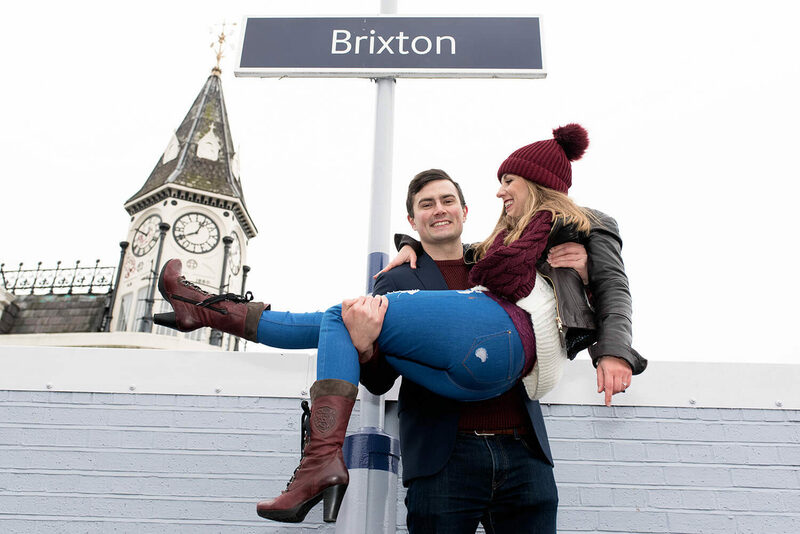 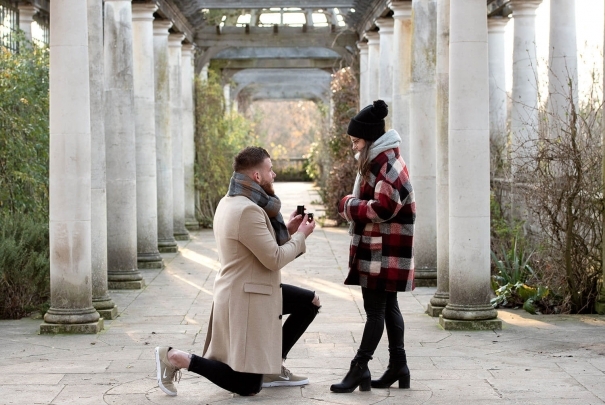 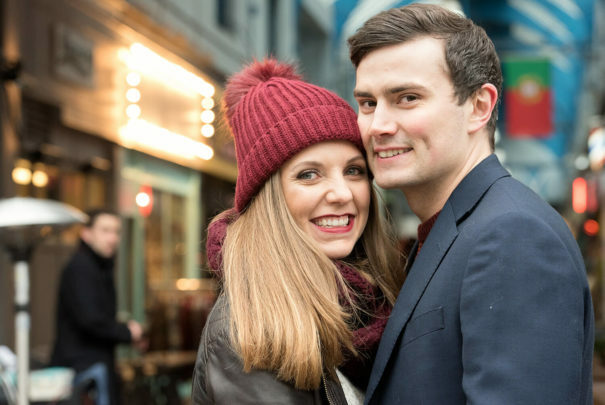 London engagement photo sessions usually take 1 to 2 hours, however they can be as long as you like. London has so many different places to shoot! You can choose locations that have a special meaning for you. 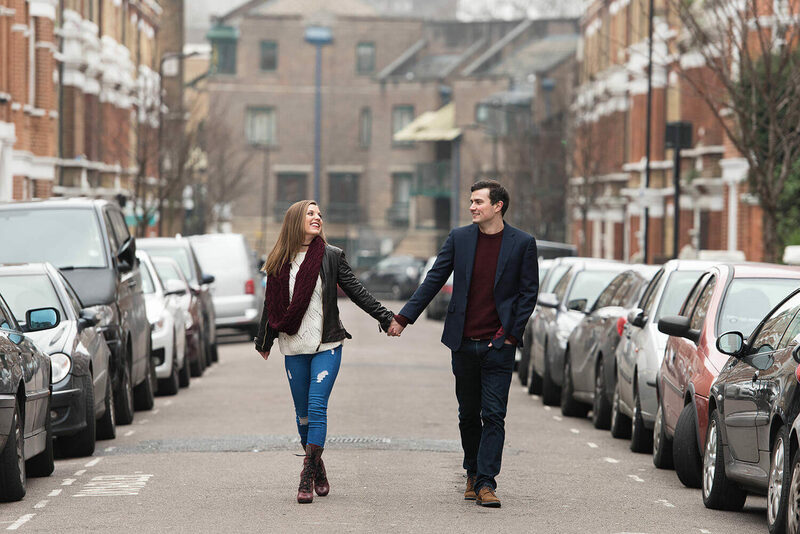 Or I can help you by suggesting some interesting and offbeat locations based on your preferred themes and interests. 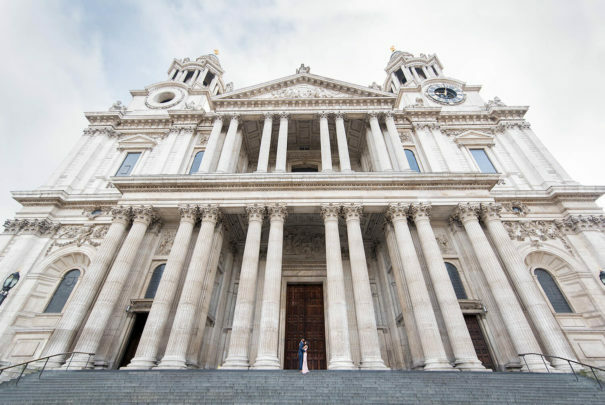 I have taken photos at a huge variety of London locations – from parks and landmarks to graffiti tunnels and old pubs. 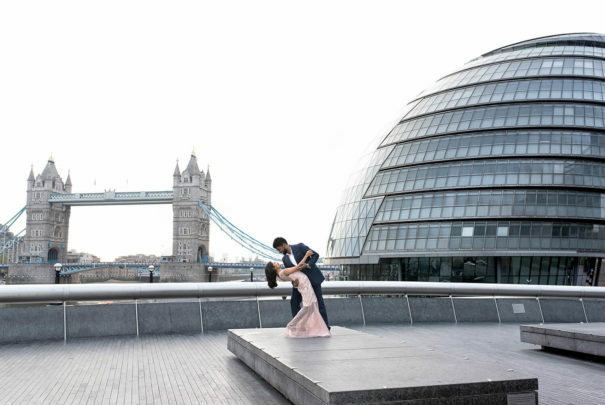 I am available to shoot your pre-wedding not only in London, but all over the Europe and the world. 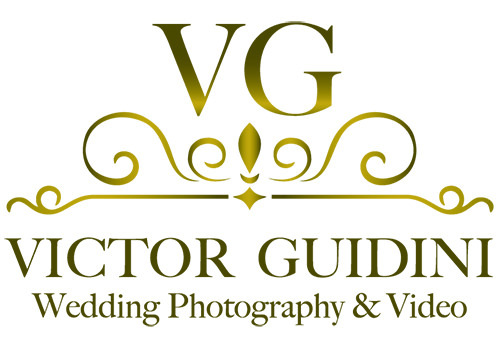 If you are interested in working with me, please get in touch. 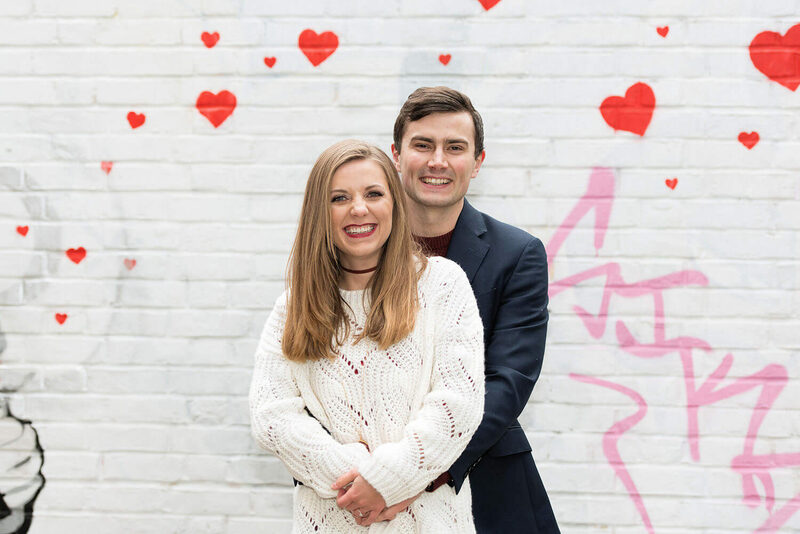 I would love to hear your plans!